Earlier today, Laura Kate Dale of Let's Play Video Games released a cache of info on Nintendo's recent plans, including the soon-to-be fully revealed Nintendo Switch. Among the info was a particularly interesting bit about the future of the Star Fox franchise; apparently Koei Tecmo approached Nintendo earlier this year about making a new Warriors series in a similar vein to the critically acclaimed Hyrule Warriors, but based in the Star Fox universe. Fellow reporter / researcher Liam Robertson has also said that the pitch did happen. The proposed game would have been mainly based around melee combat, with some space dogfighting sections and a simplified combat system. The space fights were said to have focused on being visually impressive, but unfortunately no screenshots or footage exist of the game as it was rejected by Nintendo during the planning stages. It's unknown whether the game was destined for the Wii U or the Nintendo Switch, however as it was apparently pitched earlier this year our money is on the latter. The last time the Star Fox crew took to ground combat was in 2005's Star Fox: Assault, which is not exactly remembered fondly among all fans. While we would love to see a Star Fox title on the Switch, Nintendo was arguably right to veto this idea; that's the impression of a brief straw poll among a few of the Nintendo Life team, in any case. Let us know whether you'd have like to see this concept down in the comments. A Star Fox Warriors game sounds... interesting... but who cares about that? Where's our Mario Warriors or Fire Emblem Warriors? Oh yeah, you put "Wwitch" in the last paragraph. We need Fire Emblem Warriors. Either that or Metroid Warriors. Omg, I want to play Star Fox Wwitch! Super Mario Wwitch would be amazing too! I wonder how Bayonetta 3 on the Wwitch would look like? All aside though, Zelda Wwitch FTW! I'm glad it never happened. "...would have avoided motion controls..."
Wwitch typo is everyone talking about? Wow she is on a trip isn't she? Squeaky wheel gets the grease Laura. Just be careful where you're squeaking at. Thank you Nintendo for saying no to this idea. Well since Starfox adventures is the only Starfox game I like I can see myself wanting a SF fighting game. Though there really aren't enough characters to justify it, better off just making a game like Tomb Raider or Skyrim w/ Crystal in it. Or "Crystal's Adventure" I suppose. This makes no sense at all. StarFox doesn't use melee weapons, they use Ranged... when they're not using space ships. I'm getting less and less impressed with these copy-paste rumors from some random source who, as far as I've been able to tell, is just making most of this up. I'm sorry but I personally really enjoyed Assault, as well as Adventures. It was stuff like Command and these constant 'reboots'/'remakes' that are frustrating to me. I think it's about time that Star Fox "Fans" admit that the old SNES game does not translate well into modern gameplay and they have to learn to like more than railshooting for the series to amount to ANYTHING. Stop munching 'Memberberries and let the game and its world evolve. Falco: "I'll take the sky any day." 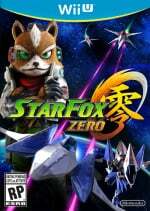 @TobiasAmaranth I don't really agree with that.There is definitely a place for a traditional style Starfox if done right.Spectacular visuals,ship and weapon upgrades and a proper online dog-fighting mode on top of the main campaign and I'm sure it would do well.Zero didn't have any of these and because of the divisive controls and the negativity surrounding it up to it's release,it was never going to do well.But if it had been given proper AAA treatment with normal controls I'm sure it would have done much better. is nintendolife run by LKD now? even though shes trying to get back at nintendo? I can't imagine Star Fox working too well as a Musou game. Oh no.....Nintendolife trying to stir up that Star Fox hornet's nest again? But while we're here - picked up Zero last week and started playing it over the weekend. Love it. @Mega_Yarn_Poochy YES FE WARRIORS NEEDS TO HAPPEN ! @Steve_Bowling As many have said, the last paragraph contains a typo. I believe Switch is what you were looking for, not Wwitch. It sounds weird: "musou starfox game", nintendo has other franchises that adapt better to those kinda games like Pokemon, Fire emblem, Kid Icarus or even Mario. But, even if a little repetitive, musou games are fun, at least sounds better than another reimagination, remake or whatever. @DrRandle Probably cause you're entirely unfamiliar with their track record. Well it would be interesting, I'm not sure if it would've worked though. Maybe Donkey Kong and crew would've fit better fighting off Kremlings. "was turned down by Nintendo due to questions regarding the future of the brand"
Oh, so it's okay for Nintendo themselves to butcher a franchise but no one else. C'mon Nintendo, after the abysmal sales of Zero because you refuse to offer an alternative control option ( I have no problems with it myself) you have the gall to say this! 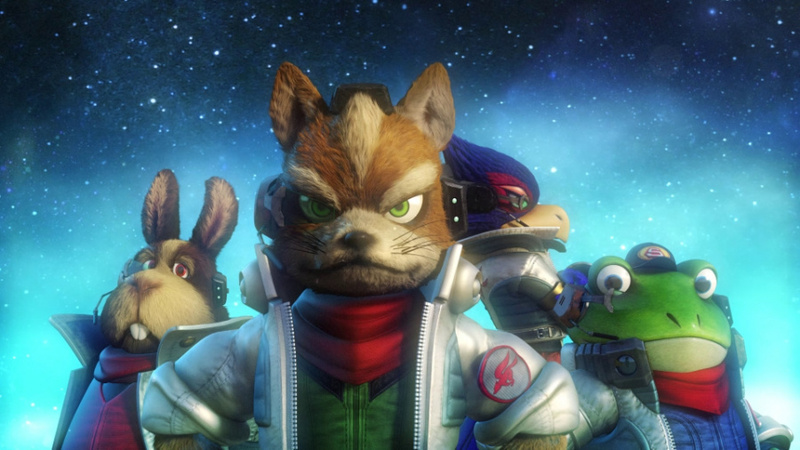 Exploring the Star Fox world through the lens of the nutty Musou games could have been a fun experience. Shame. Xenoblade Warriors would be great. Now it's Shulk Time! I don't think I like the idea, so I don't mind it being rejected. And yet, I personally think a Star Fox RPG could work (a Sci-Fi RPG-- not so much 'High' Fantasy, of course). They could really flesh-out Corneria and the other planets within the Lylat System, while also throwing in more traditional arcade segments along the way (like Adventures did, but more often, and with more variety). I'd buy something like that, anyway. Just let Project Aces make a Star Fox game. It's been far too long since a good Star Fox was made and at this point I think only that team can do it. @Knuckles Thanks! I've updated the post with the correct spelling. I mean is there enough characters to draw from? I'm honestly wondering, I only have three starfox games and they're all spinoffs (well, one is Zero), but I got the impression there's a small group of notable characters. And I can't think of much that can be used for thee random grunts. Honestly I can think of a lot of series that would work better with a huge character roster (cough Fire Emblem cough Pokémon couch Final Fantasy cough) sorry had a bit of a coughing fit, what was I saying? Oh yeah, seems like Koei Tecmo's only idea these days is "make everything into a Warriors game". Which isn't bad but that doesn't work for EVERY series. How many characters can you have in a Star Fox Warriors title? I literally don't know any aside from the six we already knew (Fox, Wolf, Peppy, Slippy, Krystal, and Falco). Nintendo rejected the idea probably cause it just doesn't make any sense. Fire Emblem on the other hand would had make a fine Warriors style title as like the other Musou games, the franchise had a diverse set of characters spanning several generations of games taking place in various FE worlds which includes characters that could easily become generals, leaders, allies, enemies, and followers. @retro_player_22 there's other characters like ROB (their robot), Slippy's gf (a pink frog), Wolf's teammates Leon (a chameleon) and Panther (a... panther), Andross (giant Monkey head and main villain), Andrew (Andross's son, a monkey), Pigma (a pig)... but I mean, they are all in ships, we have nothing to go on for their combat styles here. Given the nature of the Star Fox franchise, I don't think a Warriors game would've suited it, anyway. As others have mentioned, a Fire Emblem Warriors game would be a perfect match. I'd also love to see a Pokémon Warriors game. It would be like a visually detailed and fully fleshed out Pokémon Rumble. Pumped for a FE Warriors now thanks to these comments. I don't think a SF Warriors game would really work out. Nintendo's better off fixing problems from Zero and introducing a alternative control scheme than trying this.... weird mix. A new 1080 game would be nice. Final Fantasy Warriors would be ace. I would give an arm and a leg to see F-Zero Warriors, if that's what reviving the series would take. Good. That terrible studio would've most likely created something super inappropriate. I would rather play a fire emblem musou instead. The berserk and warriors of arslan show that type of setting will work well with the musou formula. Just give us a proper star fox game! "How many characters does Star Fox even really have?!" Fox, Krystal, Slippy, Amanda, Falco, Katt, Bill, Dash, Wolf, Leon, Panther, Peppy, Lucy, James--all characters who have been playable at some point in the series (admittedly most of them are from Command). Then there's NPCs who could be interesting PCs, like ROB 64, and the revival of scrapped characters Fay Spaniel and Miyu Lynx... Octoman from the F-Zero games has a role in Star Fox: Command, so he could show up here, too. That's 18 characters without even including the ones Koei Tecmo would inevitably invent, or the large number of dinosaurs they could pull out of Star Fox Adventures (like Tricky, who I forgot and who would definitely be a playable character). I have a feeling Nintendo's rejection of the idea has more to do with avoiding the negative press that would almost certainly follow any game where Koei is allowed to work with Krystal, all things considered. Wow.. great ideas from you guys... I like 'Fire Emblem Warriors' idea, sounds like a more solid project especially with all those characters....Nintendo should actually consider this.. I think the reason why Nintendo rejected it is apparent (and I'm happy they rejected it): this Warriors game would've undone the previously established cockpit-controls. So it's a good thing this franchise wasn't "polluted" or dumded-down by another Warriors game. @OorWullie Right. You're using blind fanboy logic. I'm using developer cost logic. Pound per penny, the cost for the game you want versus the game I want (Rail-shooter vs Story-driven ANYTHING) is drastically different. Zero has weird stuff in it because they're trying to minimize developer costs and have you do things that don't just burn through original content or completely rehash existing material. Rails just aren't feasible in the modern high-graphics design environment. I really hope that this is just a rumour; I unwant ANOTHER 'table flip' that would ruin another game series.